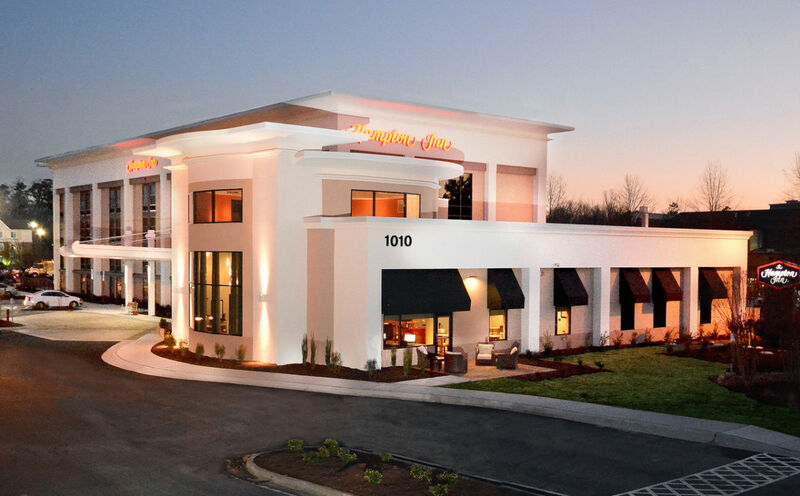 Conveniently located only 1.5 miles from RDU International Airport. This airport hotel offers a free airport shuttle, so you can settle into your guest room minutes after arriving in Morrisville. The shuttle also provides service to local companies around Research Triangle Park, just a few miles away. Rest and relax in a guest room featuring a clean and fresh Hampton bed®. Connect to free high-speed internet access to surf the web or check email. Get some work done at the desk or in the modern hotel lobby or business center. Watch your favorite cable channels on the 37-inch flat-screen HDTV. Maintain your healthy lifestyle by working out in the fitness center or take a dip in the outdoor swimming pool. For a great start to your day, wake up every morning to Hampton's free hot breakfast and grab a snack to go from the Market.